Amazon launched its express delivery service in Singapore on Thursday, the US online retail giant’s first foray into Southeast Asia and a move that puts it in direct competition with China’s Alibaba. 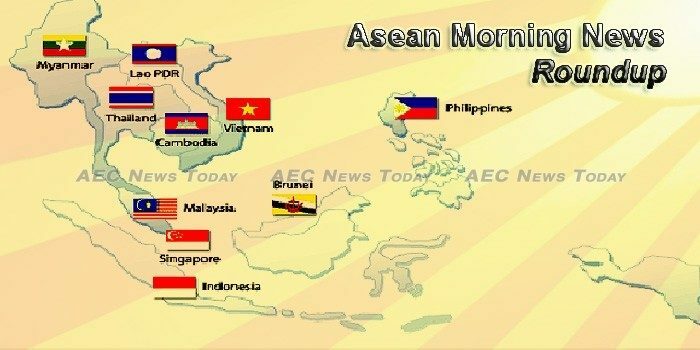 The excessive use of non-tariff measures, unaddressed issues on labor mobility and barriers to trade in services are hampering the integration process of the ASEAN Economic Community (AEC), ADB economists said. There are currently 1,781,598 foreign workers in the country as of 30 June 2017, says the Home Ministry. MALAYSIA’s Prime Minister Najib Razak has said he wants Bahasa Melayu or Malay to be the official language of the Asean regional bloc by 2050. The Association of Southeast Asian Nations’ (Asean) secondary population centers are getting a significant growth spike from connectivity upgrades that are bringing markets closer and gradually reducing the economic clout of megacities. Love it or hate it, globalisation is not going away, though leading economists meeting in the Malaysian capital this week expressed hope that its benefits can be distributed more equitably. The UAE and Cambodia on Thursday signed an agreement to protect and encourage bilateral investment between the two countries. Despite being home to several cement factories, real estate industry experts say Cambodia’s cement manufacturing sector has yet to fulfill demands of the fast developing building boom. Indonesia’s House of Representatives on Thursday endorsed a revision to this year’s government budget — which sees a lower revenue, increased spending and a widening deficit nearing the constitutional limit. Expedia’s minority investment in Traveloka, a household name among travel players in Indonesia, makes sense. The company has struggled to gain share in Southeast Asia and a partnership can fill the gap. The government, through the Directorate General of Oil and Gas of the Ministry of Energy and Mineral Resources (ESDM), targets to install 271.5 thousand household gas distribution connections in 2017. Indonesia is seeking to enhance bilateral cooperation with the Peoples Democratic Republic of Laos during the visit of Foreign Minister of Laos Saleumxay Kommasith to Jakarta here on Thursday. The Ministry of Finance and the World Bank on Wednesday, Jul 26 signed an agreement for financing support of US$25 million as additional funding for the Mekong Integrated Water Resources Management (MIWRM) Project. (KPL) The Bank of Lao PDR (BOL) officially opened its new northern regional branch in Phonmixay village, Pek district, Xiengkhouang Province on Jul 26. Malaysia’s economy increased in 2016 as the value of Gross Domestic Product (GDP) at current prices expanded further to register RM1,230.1 billion and grew 6.3 per cent. The contributions of Malaysia’s digital economy to the gross domestic product (GDP) are expected to exceed the 20 per cent target by 2020 from the current 17 per cent. There were 1.78 million foreign workers in Malaysia as of June 30, the majority comprising Indonesians, Nepalis and Bangladeshis, Putrajaya revealed today. Myanmar’s government requested help from the World Health Organization (WHO) on Wednesday after the H1N1 influenza killed six out of 20 confirmed cases in the country, according to the Ministry of Health and Sports. The Myanmar Investment Commission has formed an investment proposal scrutinising team and a one-stop team this month. Over 800,000 tons of sugar has accumulated in the local market since China stopped importing from Myanmar. FOREIGN portfolio investments in the Philippines so far this year registered a net outflow of $457.83 million as of mid-July, reversing a net inflow of $773.77 million posted in the same period a year earlier, Bangko Sentral ng Pilipinas (BSP) data released on Thursday showed. The Commission on Population (POPCOM) on Thursday said that from being ranked 12th, the country is now just the 13th largest country in the world in terms of population. THE Department of Finance (DOF) targets to incur a total of $1.8 billion official development assistance (ODA) loans for 2018. Amazon looks set to shake up Singapore’s retail market with the launch of its most aggressive service yet, Prime Now. INTERNATIONAL Enterprise Singapore (IE Singapore) aims to ease market entry for Singapore SMEs with the launch of its new Plug and Play Network. The law on personal data may soon be revised to keep it in step with the rapidly changing digital landscape. The Thai economy is expected to grow 3.6% this year, as earlier forecast, with exports likely to increase more than expected, the Finance Ministry said on Thursday. The Board of Investment of Thailand (BOI) has approved some 128 billion baht in aid for five investment projects. Prime Minister Prayuth Chan-ocha said Thursday his government was right to confiscate the bank accounts of former Prime Minister Yingluck Shinawatra as it was a separate matter than her malfeasance trial, which has yet to render a verdict. Viet Nam attracted US$21.93 billion in foreign direct investment (FDI) during the first seven months of this year, a surge of 52 per cent year-on-year, according to the latest Foreign Investment Agency statistics. Export turnover in the agriculture, forestry and fishery sector in July was $3.11 billion, bringing the figure for the first seven months of the year to $20.45 billion, a 14.7 per cent increase year-on-year, according to the Ministry of Agricultural and Rural Development. The Vietnamese economy is so reliant on the foreign-invested economic sector that any change in foreign invested enterprises (FIEs) can affect the economic indexes.